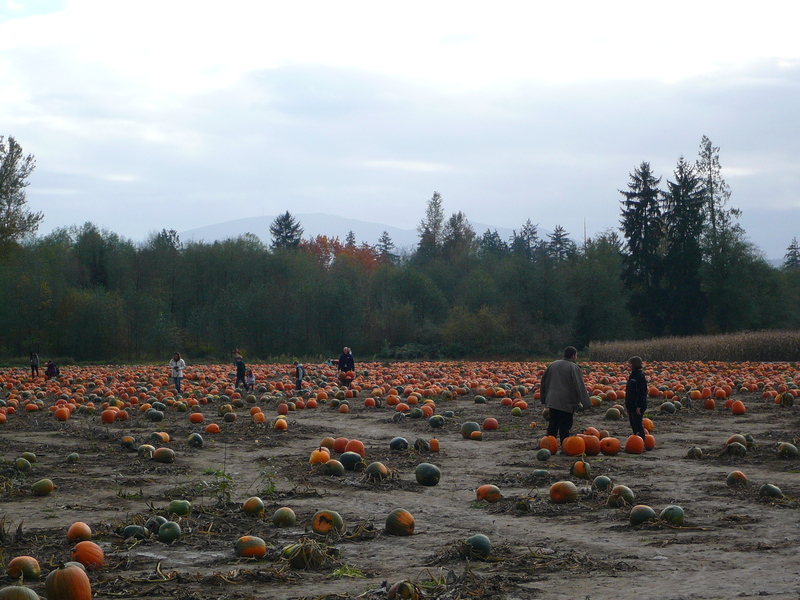 If you live in the Seattle area, and you’re still wondering what to do for Halloween with your family, I highly recommend a visit to Remlinger Farms in Carnation. My husband, 2-year-old son, my son’s godmother and I made the trip last week, and all of us had a blast. There’s a ton of stuff to see and do. 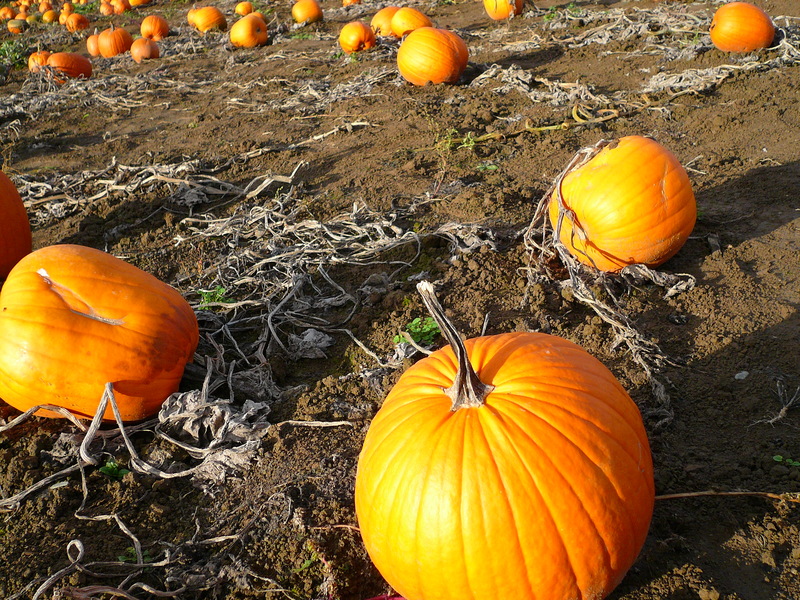 Remlinger Farms includes a pumpkin patch, corn maze, country market, restaurant and Family Fun Park. At $15 a person, admission to the Family Fun Park is a little pricey, but you get unlimited access to all of the attractions and rides. It was nice not to have to worry about tickets especially since my son had never been to any kind of amusement park before and wanted to do everything. The Family Fun Park is designed for kids 12 and under and includes a steam train, a mini roller coaster and other rides, a moonwalk, pony rides, a petting zoo, a “Farm Theatre” with live performances, and my favorite–the hay jump. 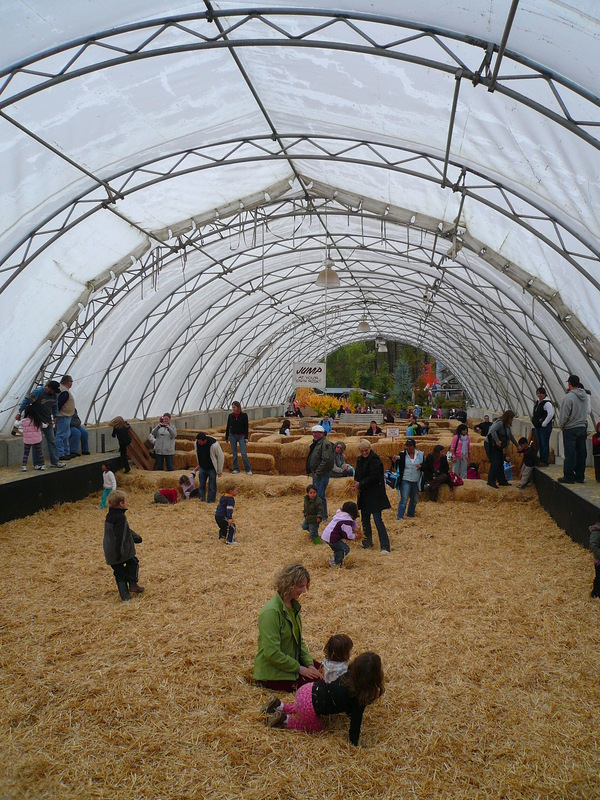 Kids (and adults) can jump into mounds of hay that are piled on top of some kind of bouncy surface (we were thinking a trampoline). You can jump around, throw hay at each other, make hay angels, etc. The hay cushions any falls. 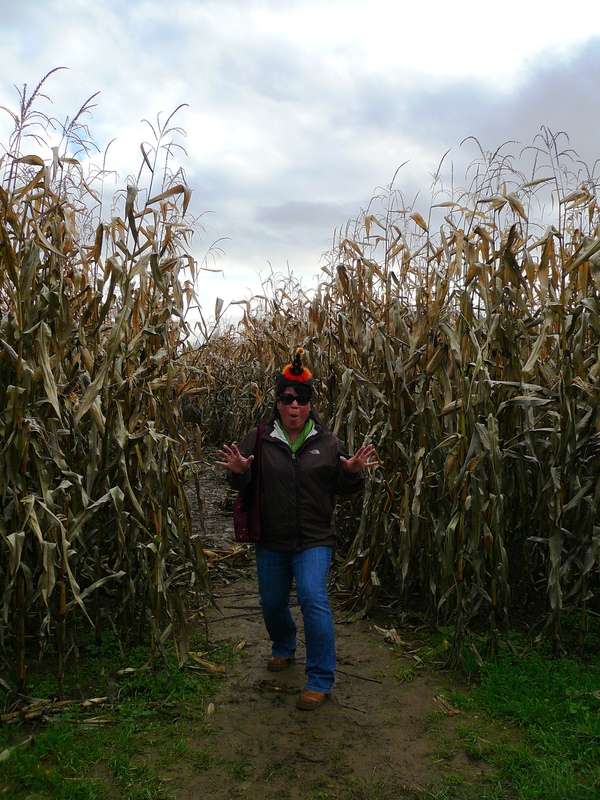 There’s also a mini hay maze for kids. 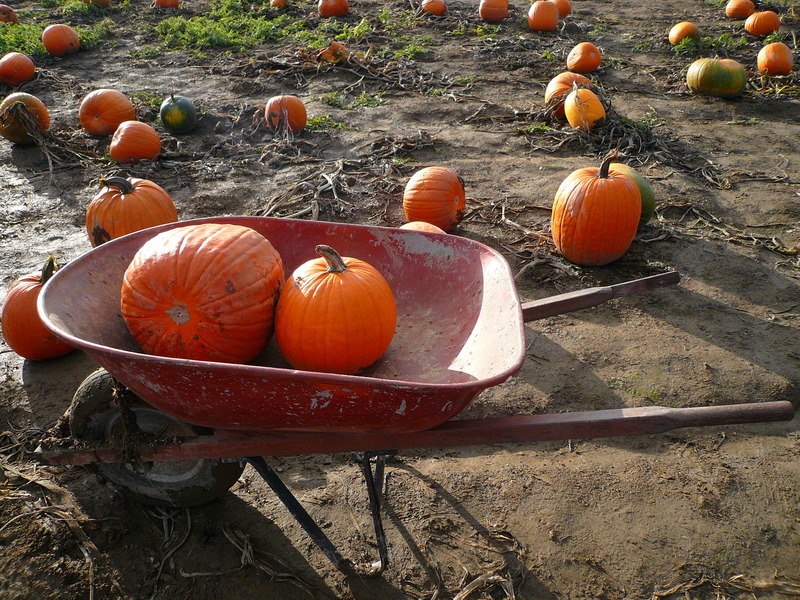 Remlinger Farms is designed for kids, but there’s plenty of fun to be had by adults too. 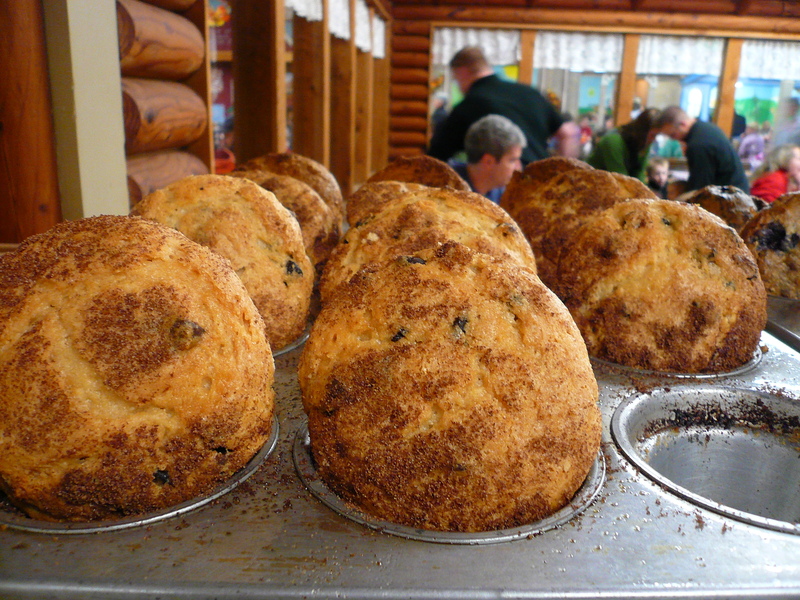 I enjoyed browsing in the country market and checking out the baked goods in the restaurant. Look at the size of these muffins! 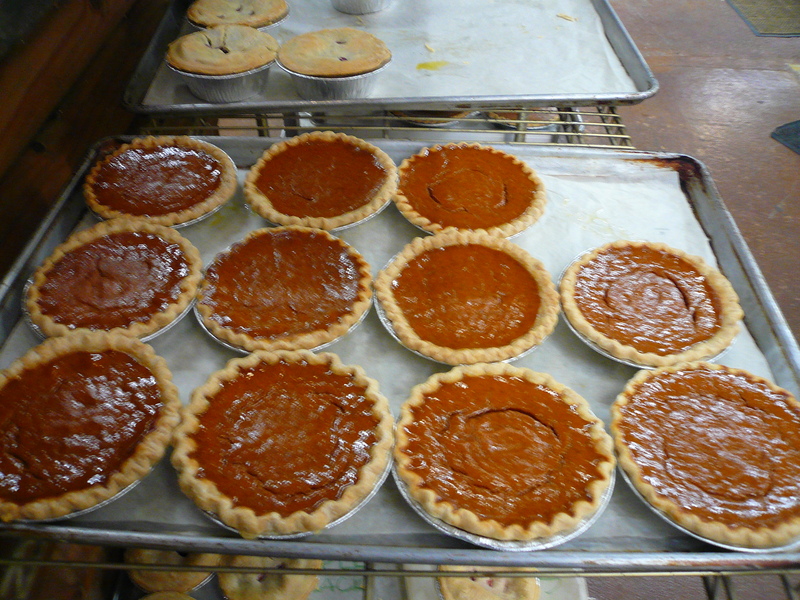 These mini pumpkins pies looked delicious, and I’m sure they were good because when we came back to sample some, they were sold out! 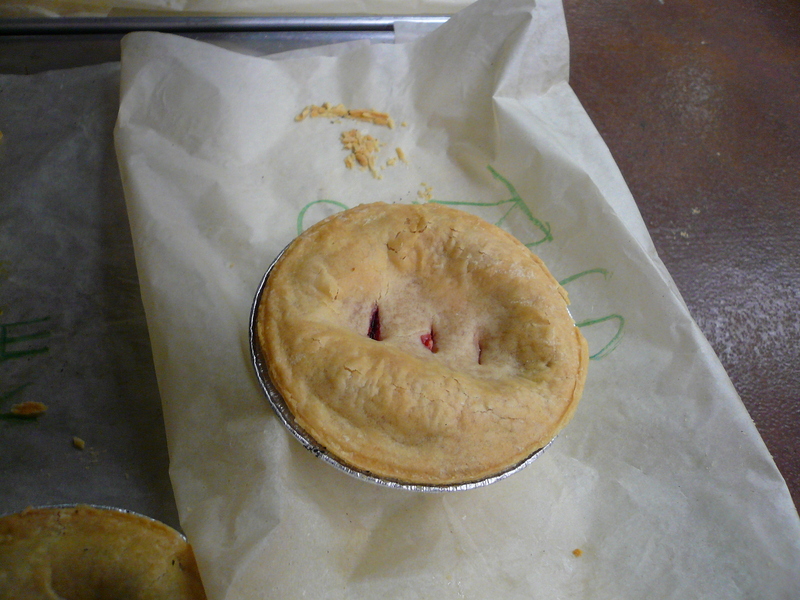 We had the strawberry rhubarb pie instead, which was tasty. 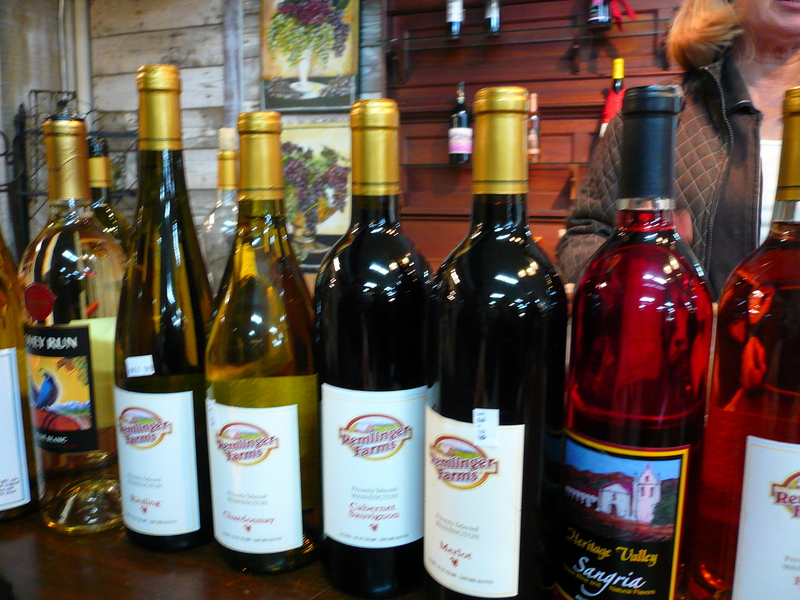 You can even do wine tasting at Remlinger Farms. I tried a mead honey wine for the first time, and I liked it. 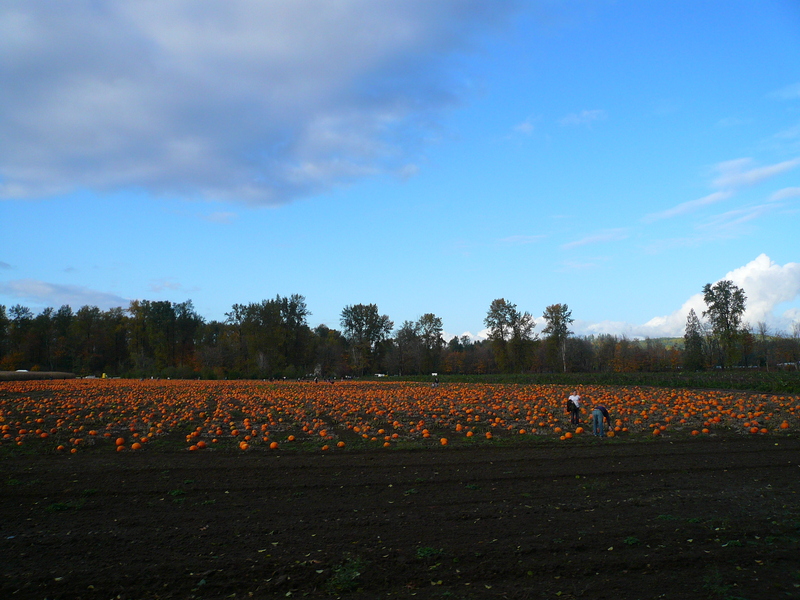 We explored the corn maze and combed the pumpkin patch for the perfect orange orb. We ended the day with a tractor-pulled hay ride. P.S. 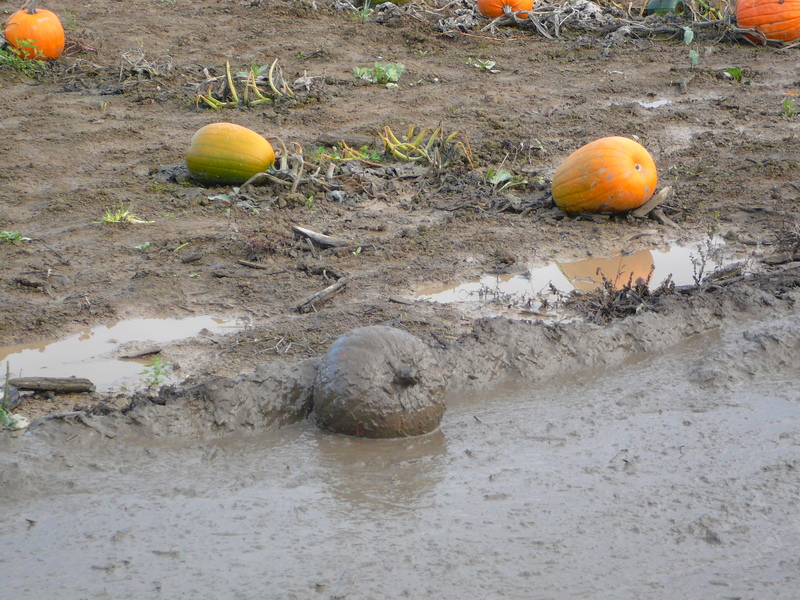 The pumpkin patch and corn maze are very muddy so make sure you wear rain boots or some other appropriate footwear. 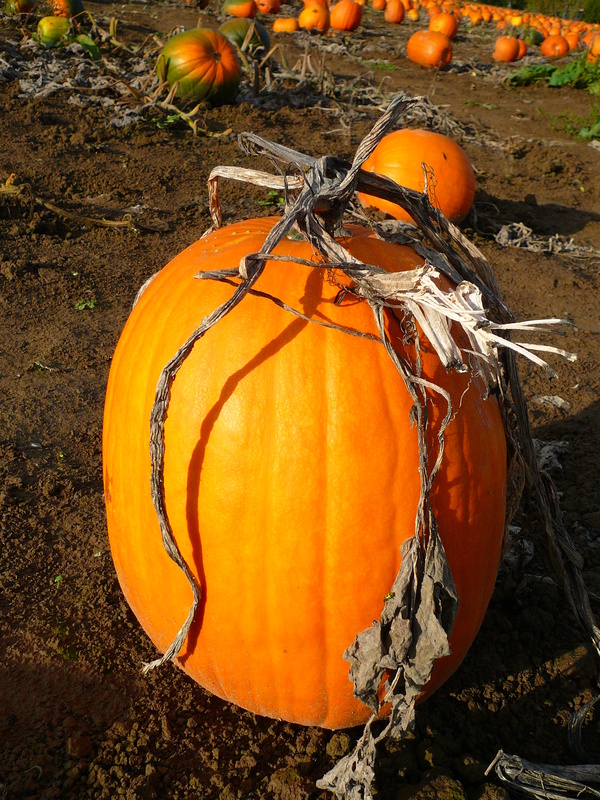 I will eat just about anything and have few food hang-ups. So I find people’s food dislikes and “food rules” fascinating. For example, my friend Ellen, the fabulous host of the Thursday “Girl’s Night” dinners, doesn’t like any kind of short pasta. To Ellen, pasta means noodles, and noodles only. To each her own, but what this means is that Ellen, who loves comfort food, doesn’t partake in the ultimate comfort food–macaroni and cheese. This is totally baffling to me! Ellen was out of town this past Thursday, but all of us still gathered for Thursday night dinner. Since Ellen wasn’t going to be there, Michelle decided to make penne with cheese and ham for our entree. 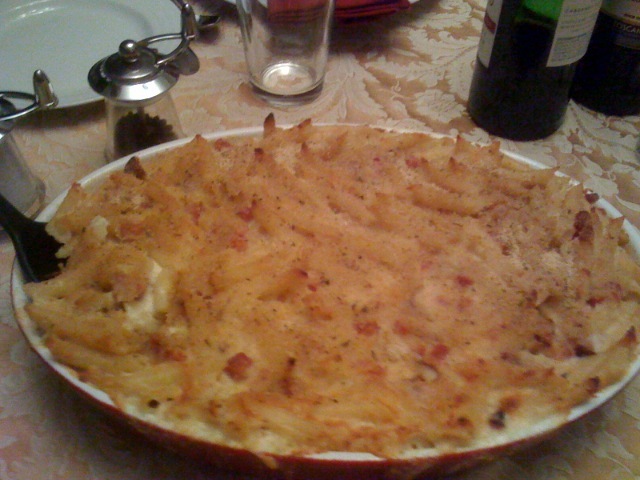 It was delicious and the perfect thing to tuck into on a cold autumn night. 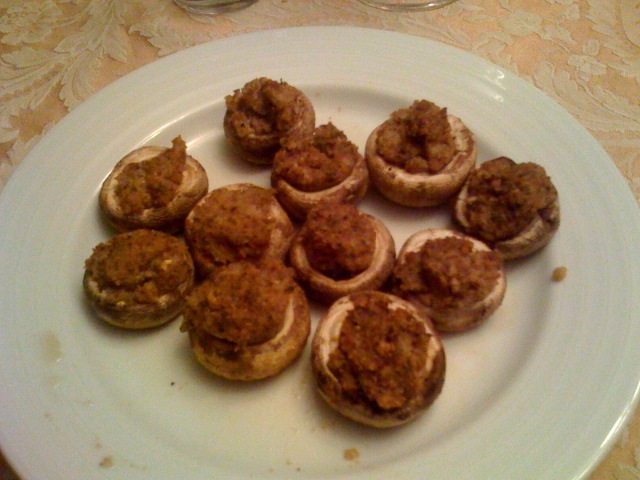 Tara made two great side dishes: stuffed mushrooms and a cold carrot salad. 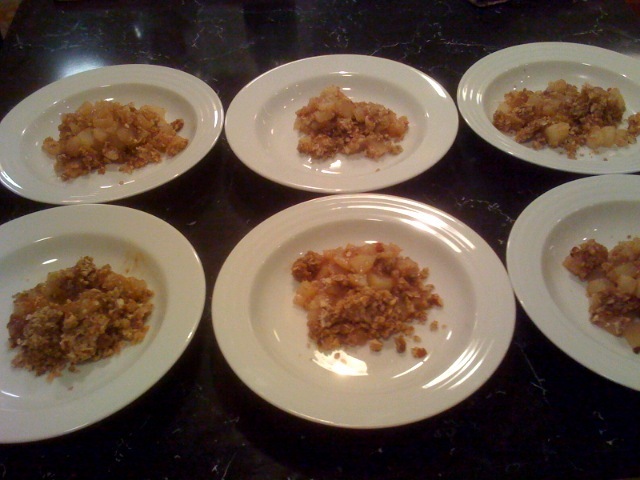 I had the pleasure of preparing dessert this week, and I chose to make a pear and ginger crisp. 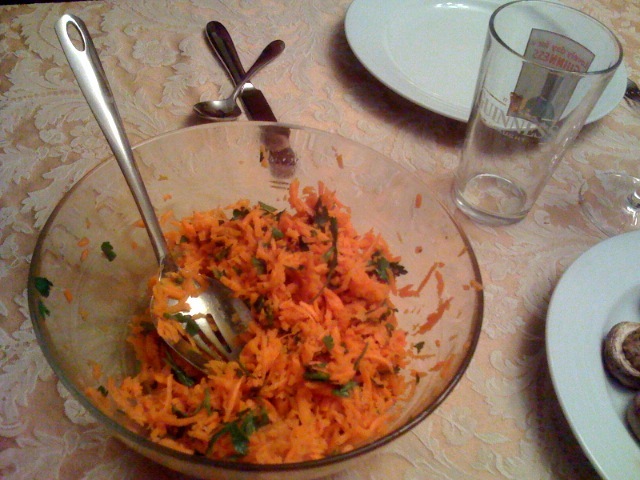 The recipe called for chopped up crystallized ginger in the topping, which added a nice spiciness and aroma to the dish. 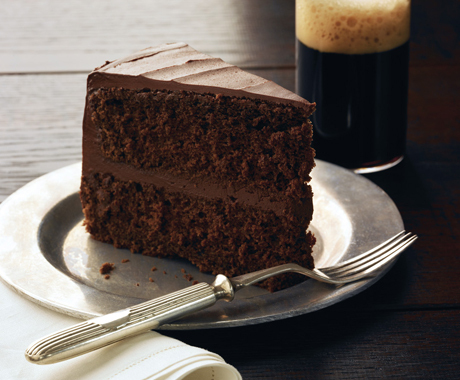 A few weeks ago, my friend Lynn made chocolate stout layer cake for dessert for Thursday night dinner at Ellen’s. I must admit that I was skeptical. Sure, I know that certain stout beers have a dark chocolate flavor, so a pairing of beer and chocolate isn’t that out there. But still, I was afraid that the malt flavor would overwhelm the chocolate in a cake. The cake Lynn made was easily one of the best chocolate cakes I have ever had. (And I have eaten a lot of cake.) It was rich but not too dense and the beer perfectly accentuated the chocolate. Too often frosting is an afterthought, but this time it was an essential element of the cake. Also, this cake was incredibly moist. So moist that I saved a piece from Thursday night dinner, and when I ate it on Sunday (yes, three days later), it was still as moist as when it was first made! If you’re looking to be the star of the next potluck you attend or to curry favor with your favorite chocolate lover, look no further than this cake. Click here now to get the amazing recipe. Want to find a cheap way to get drunk? There’s an app for that. I decided to take a deeper dive into the whole social media thing and just started the Master of Communication in Digital Media program at the University of Washington. Last night my class heard from Jeff Khadavi, the founder of GoTime.com. 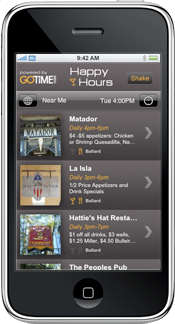 This past spring GoTime released a sweet Happy Hours iPhone app for Seattle that locates you using GPS and then gives you a list of the nearest bars currently hosting happy hour. Or use the shake function and the app will choose a bar for you. And best of all, it’s free to download! The Stranger (needlessly?) created a similar app called Cocktail Compass. I heard that it’s a good app, but signs point to GoTime having the edge on better info–more happy hours listed and constant updates for accuracy. GoTime recently produced a Happy Hours app for Portland, and now they’re getting ready to go national, providing happy hour information for 30 cities across the country. As Khadavi gave his presentation to my class, I realized that my hard drinking days are far behind me, but I still do enjoy the food deals that happy hour offers. In no particular order, here are some of my favorite places to get some great budget bites. 1. Contour is right by my office so I have spent a lot of time here with my co-workers. It claims to have one of Seattle’s best happy hours, and I would have to agree. You get good food for a super low price. I especially enjoy the tomato honey basil soup ($1.95) and the provolone cheese burger ($2.95). 2. Oliver’s Twist offers $2 off its artful cocktails during its 5:00pm-7:00pm happy hour. I like the classic Presbyterian (bourbon, ginger ale, soda water) and the Miss Nancy (gin, rhubarb-tarragon syrup, lemon, blood orange bitters and bubbly). The roasted fingerling potatoes in duck fat make me swoon. 3. Matador in West Seattle restaurant is roomier than its Ballard sibling, which means you’re more likely to score a table and the great deals on Matador’s upscale Mexican food. With the exception of the Tex-Mex spring rolls (get rid of these already! ), everything on the happy hour menu is delicious. 4. Stanford’s in Tukwila has a long and varied happy hour menu, and it offers discounted food and drink twice–from 3:00pm-6pm and 9:00pm-close. It serves chili cheese fries and other fattening favorites, but it’s also possible to put together a healthier meal. Try the Southwest chopped salad. 5. Umi Sake House offers many different sushi rolls and sashimi sets to choose from, but I also like the garlic short ribs. The 4:00pm-6:00pm happy hour stretches to 8:00pm in the front porch and bar. In addition, Umi has a late night happy hour from 11:00pm-1:00am Sunday-Thursday. 6. Ivar’s Acres of Clams on the Seattle waterfront has happy hour from 3:00pm to close! That alone makes it awesome. Additionally, as The Seattle Times reported back in February, Ivar’s extends happy hour beyond the bar and there’s an area where families can enjoy the discounts. So now I have a place where I can hang out with my single friends and my husband and son can come too. Now that makes me happy. Have you ever hosted a party and realized halfway through it that you were going to run out of food and/or booze and had no way to get any more? It’s not a good feeling. 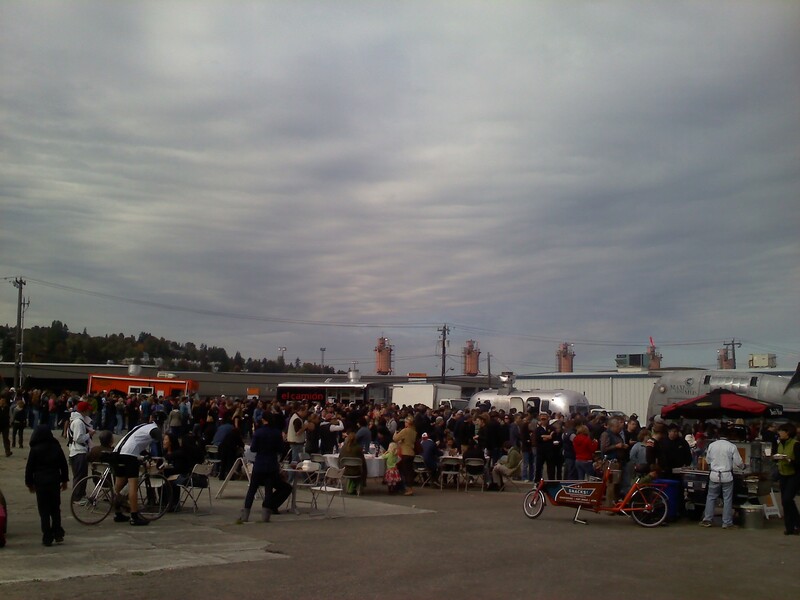 I can only imagine how the various street food vendors reacted to the mob scene that was Saturday’s Mobile Chowdown. My husband and I arrived at the Chowdown around 1:30 p.m. I knew it was going to be crowded, but I wasn’t prepared for the sea of people that greeted us when we pulled up. Lines for Skillet, Maximus Minimus, El Camion and Marination Mobile were easily 50-100 people deep. By the time we got there, Gert’s BBQ had already run out of food and was done for the day. I saw that the line for Dante’s Inferno Dogs was less than 10 people so I quickly claimed a spot. 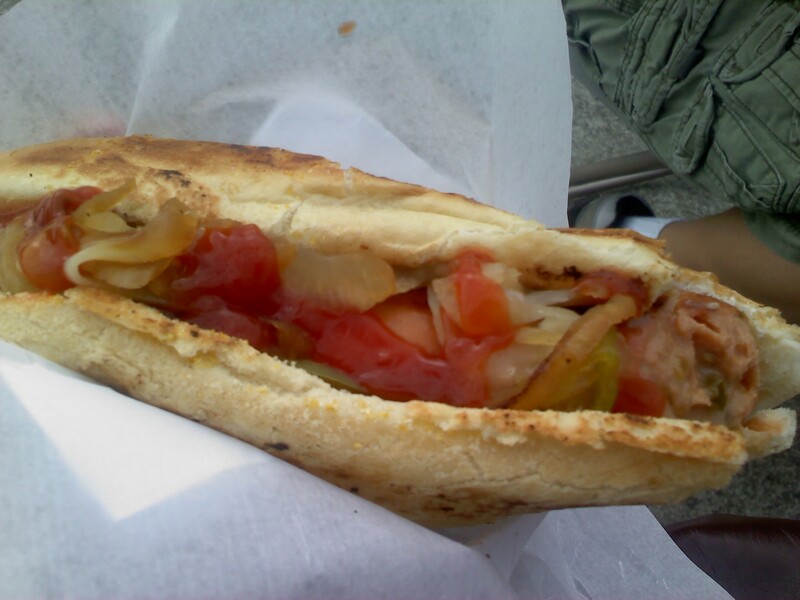 I was intrigued by the jalapeno cheddar sausage, and I thought it was pretty tasty although the casing was a bit thick. It had a good snap, but I couldn’t bite through it cleanly, making it difficult to eat. After I finished my sausage, I surveyed the scene again, and to my dismay, it looked like it had gotten even more crowded. I despaired at ever getting through any of massive lines, but I thought that the Parfait Ice Cream line wouldn’t be impossible. And luckily I was right. 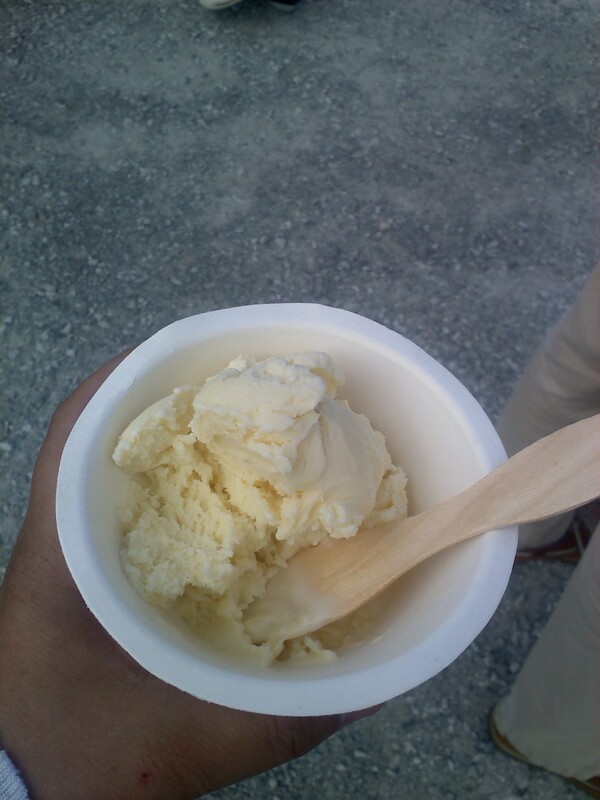 I didn’t have to wait long, and I decided to try the Meyer lemon ice cream. I got a scoop of butter toffee for my friend Bev who was patiently waiting in Marination’s line and a scoop of caramel for my friend Kumi who was holding one of the few tables with chairs for our group. Both Bev and I thought our ice cream could have been creamier. The texture was a little more like ice milk than ice cream. Bev did appreciate the generous chunks of butter toffee, and Kumi was entirely satisfied with her serving of caramel. I thought the lemon was bitter like the pith of the fruit. While I was in line for ice cream, my husband decided to try his luck with El Camion. I did not think that was a good choice. Of all the lines, it looked like that was moving the slowest. I jumped into the Maximus Minimus line hoping to score him a pulled pork sandwich. Bev joined me after the Marination Mobile folks announced they were almost out of everything. They were very nice and gave everyone who had been in line vouchers. Soon we heard that Skillet was done as well. Bev and I waited about 30 minutes in the Maximus line, and we were just five people from the front, when we were told Maximus was no more. That was two strikes out for poor Bev! My husband had managed to put in an order at El Camion, and by this point, he was extremely hungry and grouchy. I asked him what he ordered, and he said two tacos(!) He had waited in line for an hour. If I made it to the front of any of the lines, I would have ordered everything on the menu. 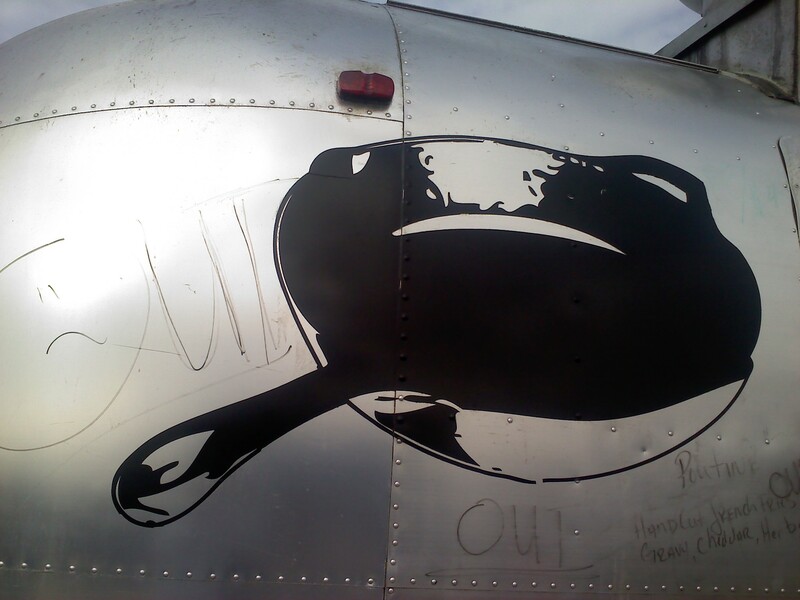 The Marination Mobile team had managed to regroup and had enough supplies to take a few more orders. Bev ran over hoping she would be lucky enough to finally get some food. And she did! It was a positive end to a frustrating event. This Saturday brings another take on “meals on wheels.” Seattle street-food vendors, Skillet, Parfait Ice Cream, Marination Mobile, Maximus Minimus, Gert’s BBQ, El Camion and Dante’s Inferno Dogs are converging in a parking lot October 10 for the Mobile Chowdown. 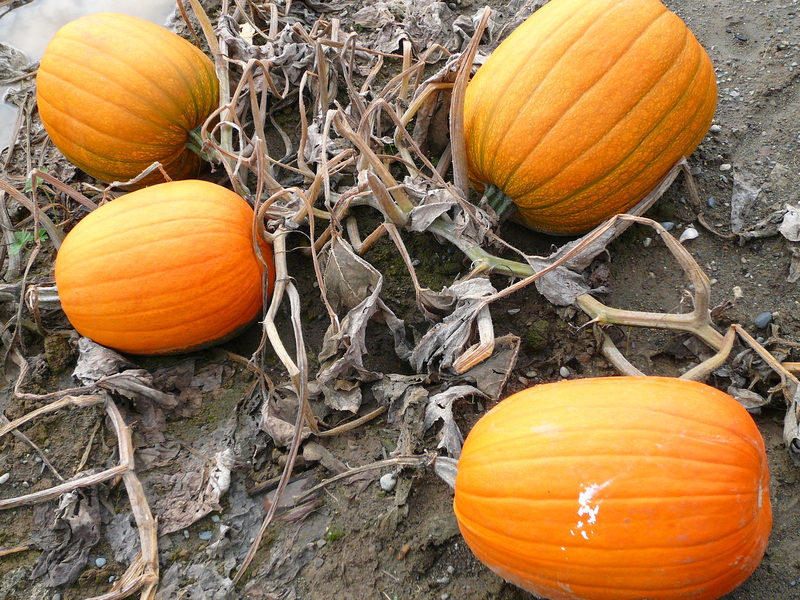 The event will take place from 11:00 a.m. to 3:00 p.m. in a vacant parking lot in Interbay at 1616 W. Bertona. Follow @mobilechowdown on Twitter for more info and for a chance to win some great prizes. On Seattle Metblogs, I saw that the Seattle Zombie Walk is also taking place this Saturday. I’m thinking it would be all kinds of awesome if this event could somehow converge with the Mobile Chowdown.